TeamViewer is a popular tool for connecting to computers remotely. It is as easy as installing the software (or using the portable version without installation), sharing the ID and password from the TeamViewer screen with whom you want to share the screen. There is no complex configuration required for remote connections any more. One thing that forces us to look for TeamViewer alternative is that it is not free. TeamViewer is free for personal use only. Although I use it for my personal activities but sometimes it gives me an error that corporate use has been detected and TeamViewer stops working. This is very frustrating. That’s why we look for an alternative which works as smoothly as TeamViewer but is free or open-source. One of reliable software for accessing remote PC and data access is “Chrome Remote Desktop” available on Chrome Web Store. It is an extension of Google Chrome which requires Google Chrome to be running. 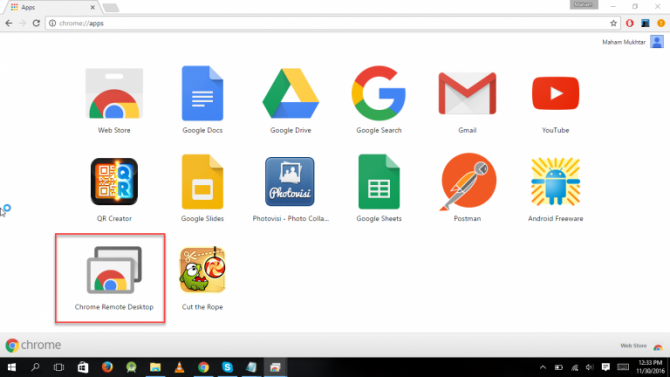 Press the ADD TO CHROME button to install the app in Chrome. 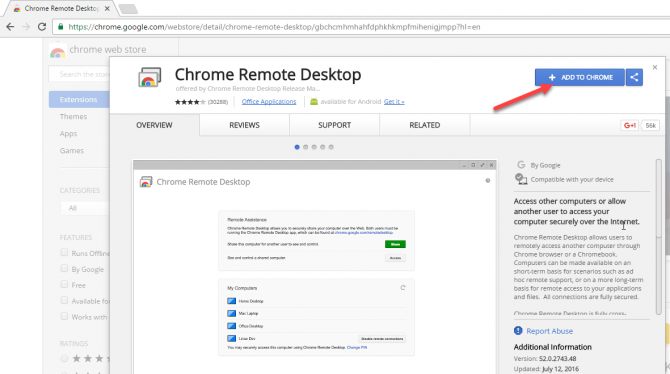 When you allow it , the chrome remote desktop is added into your chrome apps. After adding extension, it will ask you to sign into your google account. Then open the extension. 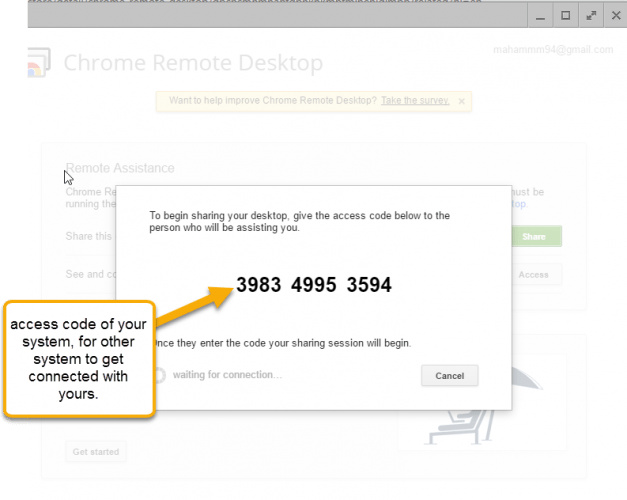 After it, it will show you welcome screen of the “chrome remote desktop”. And by clicking “Share” button, it will ask you to download “google chrome host installer”. this is how you can use this reliable extension for connectivity. Chrome Remote Desktop is a great tool for remote control on remote computers as well as file transfers. This applies for both individuals and businesses. 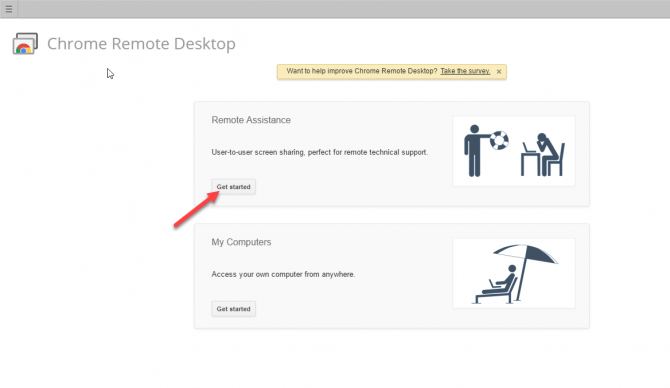 Chrome Remote Desktop is compatible with all platforms like Windows, Mac and Linux as well as Android devices. This provides a fully secured connectivity among users who are remotely connected with this app. It also makes remotely accessing your computer easier, more secure than remote desktop access. This provides you to use this program without closing your browser as this are an add-on in your browser so this will lead to easy and simple way to use remotely access of any files and data. Only google chrome browser is supported for this because this is chrome’s extension. One of the main features is that it is free of cost; you don’t have to buy or to get register before using it. 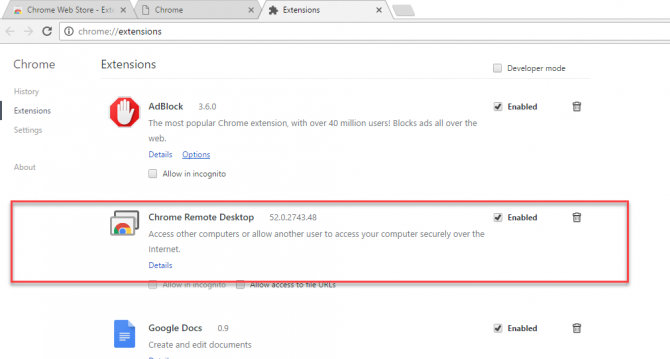 After above all discussion, it may seems that chrome remote access is very useful and secure way to do connectivity with any of your partner’s system. It provides you fully secured environment. So this would be the more reliable program or software than “team viewer” for remotely data access. I Hope this article will provide you the complete information about Chrome Remote Desktop is better than TeamViewer both in terms of ease of use and cost. What do you use for remote desktop? 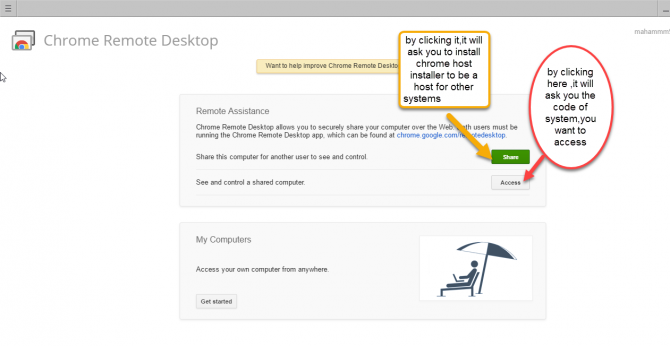 Have you ever tried Chrome Remote Desktop? Google chrome remote desktop is good. Additionally, you may also have a look at R-HUB remote support servers for offering technical remote support to clients, customers etc. I’d also recommend to try free for business AEROADMIN.